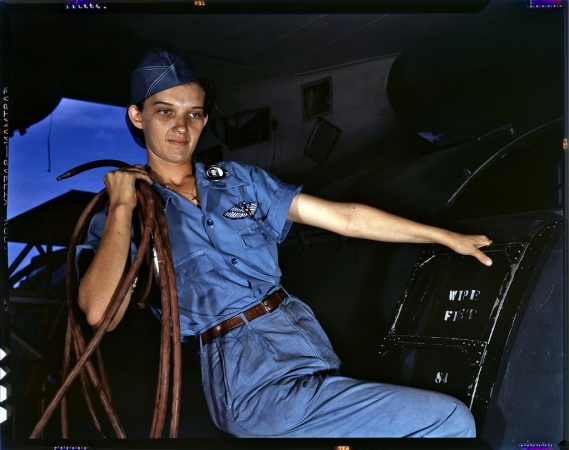 "Before she came to work at the Naval Air Base she was a department store girl. Now she is a cowler under civil service." 4x5 Kodachrome transparency by Howard Hollem. "With a woman's determination, Lorena Craig takes over a man-size job in Corpus Christi, Texas."